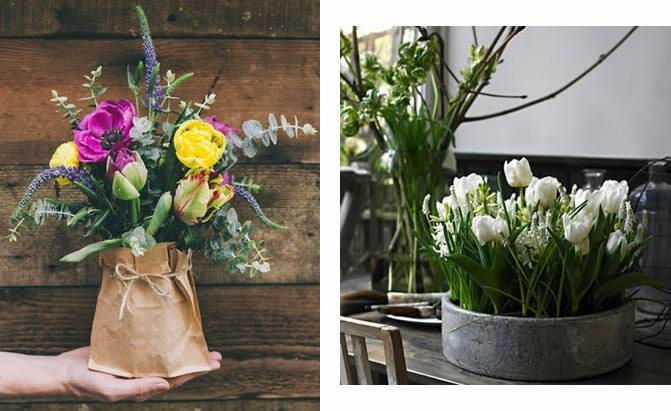 Having flowers delivered is always exciting, but after you’ve ooohhhed and aaahhhed what should you do? If you want to enjoy that gorgeous gift for the longest time possible, there are some things you’ll need to do. 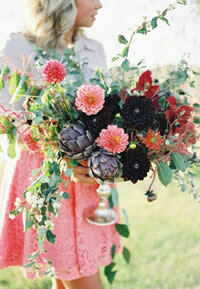 Place your gorgeous bouquet away from heating and cooling vents or drafts. Cooler temperatures are preferred, think refrigerator; not freezer. Flowers stay fresher longer when they have lots of fresh clean water. Pour out the cloudy stuff with bits o’ leaves and refill with clean water every day. As the days go by and certain blossoms start to look less perky, pull them out. Throw those away and enjoy the remaining beauty. Traditional planters are so traditional. 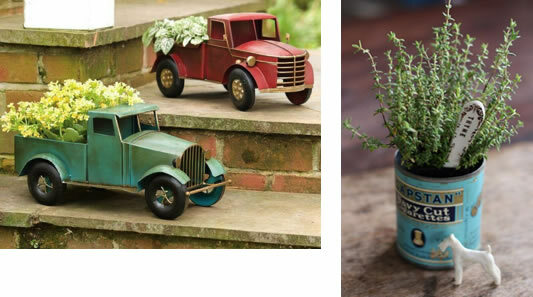 Wouldn’t you rather showcase your style and personality in the planters around your home? Keep in mind that plants require soil and water. Drainage holes are a real bother indoors. Save those containers for outside! Pea gravel is a great first ingredient in your planters — it will aid with drainage. Add a bit of soil. Use a potting mix, because garden and top soils are a bit heavy for containers. Place plants in your desired locations and then fill with soil. Follow care instructions for the plants you selected and enjoy! There is something scrumptious about black and white. 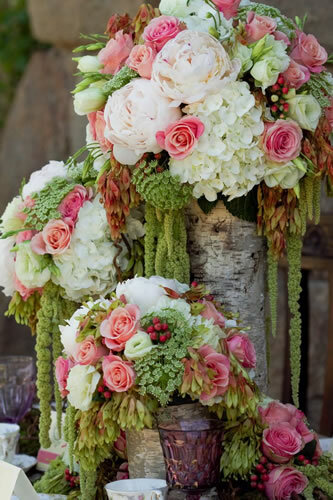 Such a crisp backdrop for any number of additional colors … shades of pinks, fiesta of bright hues, corals and greens. Curious about trends for 2015? Eco Lux will kick off the list. Copper tops the color palette, with green, yellow, black and white following closely behind. 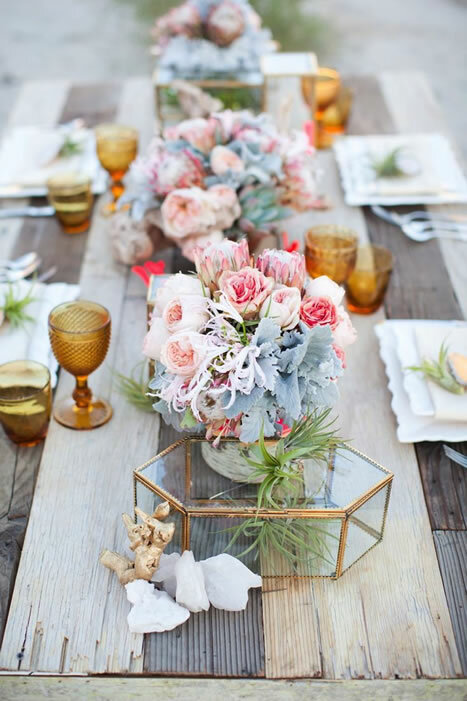 Floral designs are moving to a more loose arrangement with a focus on casual elegance. Unexpected Wild is the second trend. Key words to describe this look are simple and natural. 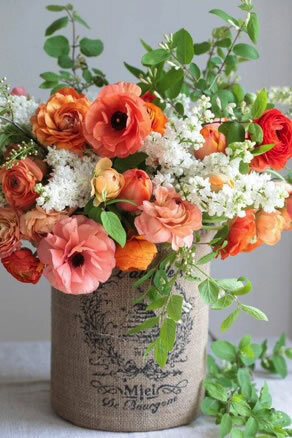 The pendulum is swinging toward a less refined look, as seen in the bouquet here. Texture rich and untidy foliage are components of this style. The final trend is called The Happy Life. This is inspired by the movement for life to be celebrated and living to be an extended party. Cheerful variety is the dominant feature; a little rustic and slightly exotic. Every day is worthy of celebration! 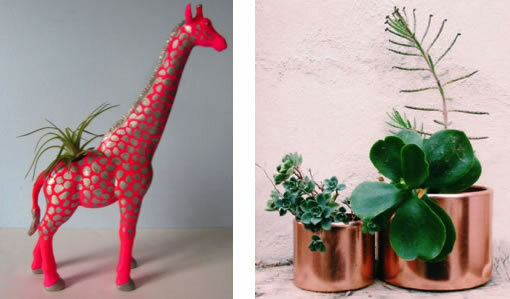 Flowers, wood, metals and plants …. does it get any better? Not as far as we’re concerned! Nature is the pinnacle of art with a tremendously broad array of mediums. 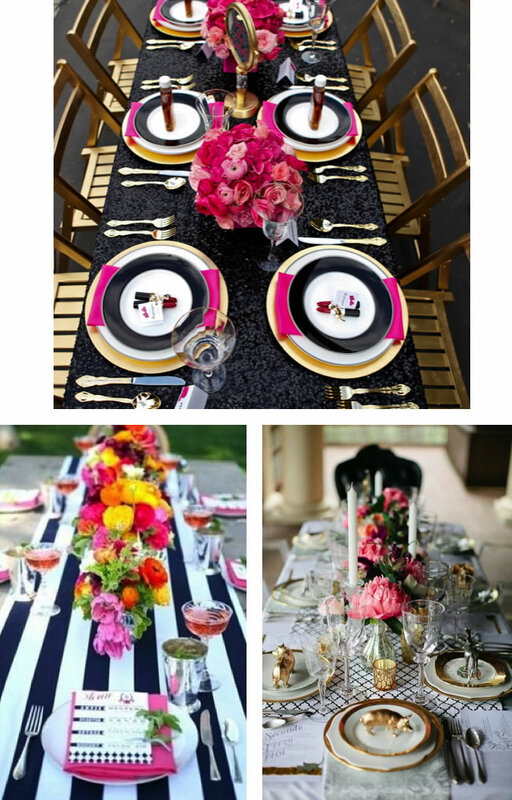 We would love to work with you to elevate all of your celebrations to masterpieces.